Propability the award-winning design and manufacturing creative team to the visual merchandising industry has launched a second company Flourish Trading. Supplying faux flowers, ribbon, seasonal event decorations, off-the-shelf props and floristry sundries to business to business customers. Based in South London, alongside the Propability workshop, Flourish Trading’s warehouse is fully stocked and open to wholesale customers in the floristry, events and retail industries. 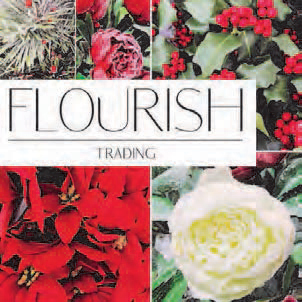 Headed by Suzanne Cano, the Flourish Trading team encompasses over 30 years’ floristry experience and knowledge – sourcing the highest quality products. In addition, Flourish Trading can draw from the visual merchandising and retail design expertise of Propability. Suzanne Cano, Managing Director, Flourish Trading & Propability: “With Flourish Trading we identified an opportunity to marry our reputation in VM with a new high-quality off the shelf product base. Specialising in faux flowers and ribbons along with other floristry sundries, our team has over 30 years’ experience sourcing the highest quality products. We are excited to be launching our new trade only online shop in the coming months”.